We have decided to remove the price on the game so that everyone can download and enjoy it! However, we would still be very grateful to any donations towards the update! An Updated and Fuller version of the game will be available 2016 and will be put on Steam Greenlight!! It's your lucky day! You won a special lottery! In the mail, you get the deed to a large estate in a place you've never heard of. You find yourself being driven there in a luxury car, feeling like a billion dollars. As you arrive, you meet your maid, whom you get to name. She apparently the best Maid in the area and the fact that she chose you to be her master/mistress should honor you. The first day goes almost like a dream: your maid prepares amazing food, cleans the house, preps your bath, and even flirts with you a bit! Lucky you! The second day, however, ends up showing you the true nature of the world you now reside in. You are visited by a noble woman and, almost out of the blue, her maid and yours start FIGHTING! You are told that the Maids are the true power of the Nobles and that the Maids are not only trained as servants, but also as Soldiers and Guardians. By moving into the mansion, you signed yourself to represent your maid in the never-ending Maid Games. 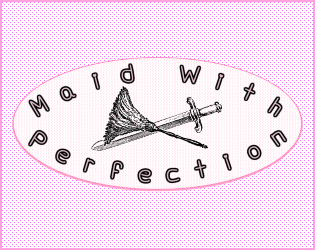 The battle between the maids ends in a draw and the noblewoman gives you one week to train your maid up to par. If she loses, you lose the maid AND your fortune! However, she can't just train the entire week! She STILL has to perform her duties as a maid and keep the house clean and keep you fed! If she doesn't, then she will be taken away and replaced! Will you be able to keep your newly obtained rich life and your maid?! 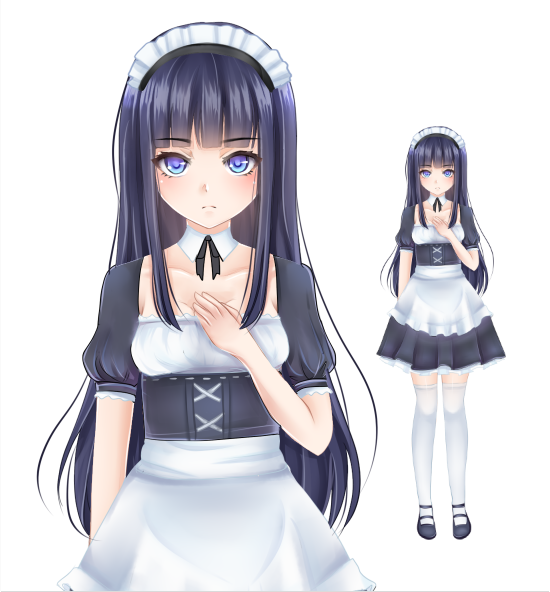 The Maid (CV: Helene Daviau-Hunt) - Sweet and flirty, this maid chose to be your maid and is considered to be the best maid around. You later find out that she's the best maid not just for her immaculate cleaning and servitude, but she is also the best Maid Fighter. How did you manage to get lucky enough to get her?! 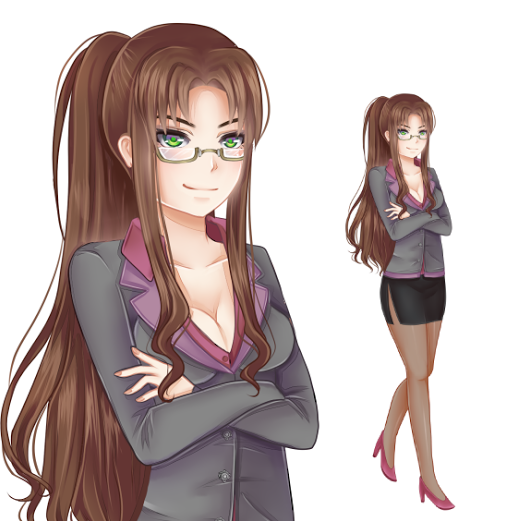 Angela Worthing (CV: Cayla Martin) - A very strong-willed and rather sly noble-woman. She is calculating and uncharacteristically calm about situations, but her intents are clear: Take over noble territory and become the most powerful noble. She is rather insulted at your maid and refuses to acknowledge her power, trusting Red to win her her power. 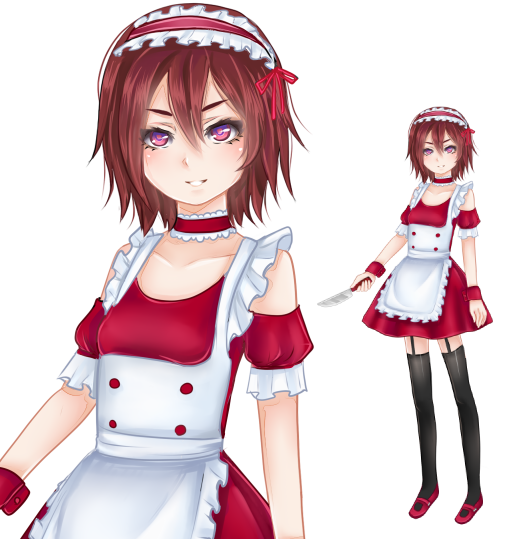 'Red' (CV: Michaela Laws) - The second best maid around, both in fighting and servitude. She is feisty and nasty, teasing your maid with direct insults and intended low hits. However, she is completely obedient to her mistress, dropping the feisty act with a simple demand. She truly does care for her mistress beyond anything else.